Are you tired of trying non-veg delicacies and willing to switch to something healthier yet tastier? Or you totally decide to transform yourself into a vegan from an omnivore? If you are with the idea, that vegan dishes are boring, bland and unappetizing then you are completely wrong. There are a plethora of fantastic options for vegetarian dishes too that are not just healthy but also palatable too. It won’t be so difficult to survive on vegan recipes because these plant-based diets are incredible, equally satisfying and energizing. There is a very popular saying. ”Eat breakfast like a king, lunch like a prince and dinner like a pauper,” but the choices for breakfast is comparatively less than that of lunch. It is hard to choose the best toothsome ones because there are innumerable options. You can also invent new dishes by mixing various ingredients and flavours. Cooking is an art and it has no end to discover new dishes with creative styles. Nothing is more satisfying than wonderful healthy homemade preparations and these items can be easily prepared even when you have a time crunch. Always remember your lunch should be less of carbohydrates and more of protein. Preparations with long durations and then relishing and savoring those meals slowly seem like a distant reality. Here is some of the best and common vegan inspiration for lunch. This list of top 10 delicious vegan recipes for lunch consists of few Indian dishes and few delicacies from abroad. 1. Chana Kulcha – This fast and easy meal full of flavour can just be prepared in 30 minutes. It is full of nutrients and rich protein and can be homemade easily. You can make it fancier by adding your favourite sauce and ingredients too. It is a classic dish and will never go out of style. ‘Chana Kulcha’ is a quintessential preparation that is loved mostly by Indians because of its sour and tangy flavour. Ginger paste, cumin powder, carom powder and mango powder adds the spicy tasty flavour. 2. Stir Fried Garlic Tofu and Eggplant – To be a vegan, it is important to master the art of stir-frying. With unique and ingredients it makes a wonderful dish. If you are adding oyster sauce, just make sure it is a vegan one. Along with oyster sauce, other ingredients like ginger, soy sauce, cornstarch, vinegar and red pepper flakes add to the taste. Do not forget to use a few basil leaves for the flavour and garnishing. 3. Whole Wheat Pasta in Mushroom Sauce – Penne or linguine pasta is recommended for this preparation. This delicacy requires you to add some white wine too to enhance the taste. Saute the onion, garlic and the mushroom with the wine. Adding some freshly cut parsley leaves or thymes to the dish will enhance the aroma too. 4. Masala Dosa – This inviting dish is a favourite for vegans. This crispy pancake made of rice and ‘dahl’ wrapped around a mixture of spices and vegetables accompanied with ‘ coconut and coriander chutney’ or ‘sambardahl’ is originally a South Indian dish but now it is famous throughout the country. 5. Vegetarian Korma – It is an exotic Indian dish and is also easy to prepare. Ingredients like ginger, curry powder, jalapeno pepper and cilantro for garnish along with onions, potato, and other vegetables with bell papers and salted cashew nuts is the love for vegans. This rich and creamy preparation with mild spices is a popular preparation. It is extremely flavoursome. 6. Sweet Potato and Baked Chickpeas with Sauce and Rice – This high protein rich delectable dish goes best with BBQ sauce. You can also add other vegetables to make a ‘buddha bowl’ wholesome preparation. It will be a bowl of goodness and richness yet highly healthy. A ‘Buddha Bowl’ is a vegan term for a colourful bowl of rich nutrients and minerals that look like ‘Buddha’s belly. With roasted vegetables in olive oil, lemon juice and maple syrup along with and mild spices like cumin, ginger, chilli powder, turmeric, oregano, salt and pepper, this scrumptious dish is a popular one around the world. 7. Vegan Pizza – This delicacy is a brilliant option. This dish is made with mushrooms, bell papers and other vegetables soaked in tomato sauce and vegan cheese is recommended by PETA too. Sprinkle some more spices and oregano to intensify the flavour. Pizzas have become famous throughout the world and can be made easily at home too. 8. Classic Veggie Burger – All the vegans out there are fond of this hearty vegan burger. Forming the patties is an easy job with vegan mayonnaise and cheese, finely chopped potatoes, onions and black beans and a generous seasoning of salt, pepper and other spices and few essential ingredients. Lettuce and sliced tomatoes are a must to enjoy the burger to the fullest possible. Spread it with your preferable sauce. 9. 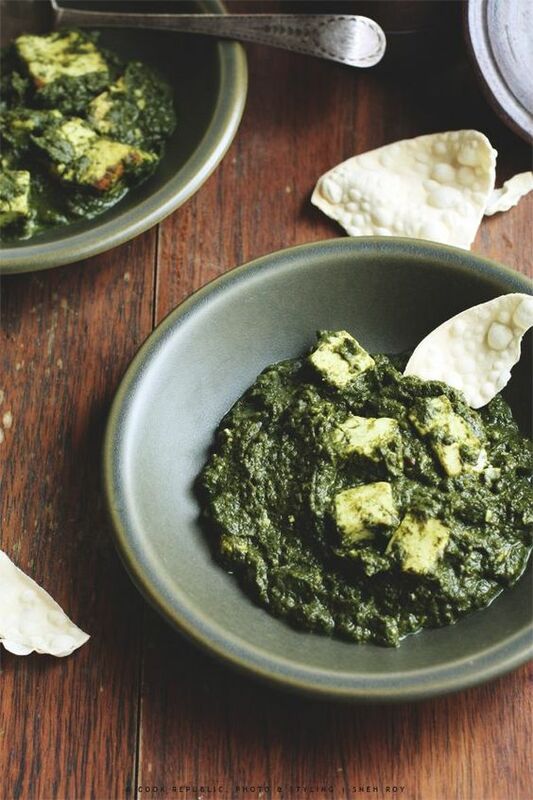 PalakPaneer – This dish prepared with vegan ‘tofu’ that is pan-fried and dipped in the spinach and coconut milk curry. Also known as ‘PalakSaagPaneer’ is an Indian delicacy can be found in a popular Indian restaurant across the globe. Necessary ingredients like ginger, cloves, cumin powder, ‘garam masala’, chilli paste, onions and lemon juice build the flavour. This tasteful preparation indeed deserves admiration. 10. 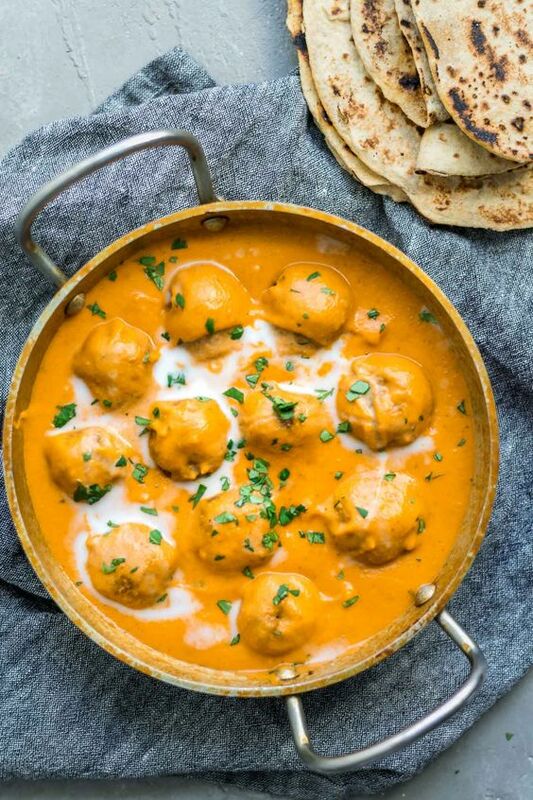 MalaiKofta– This is also a very tempting composition. This traditional dish is a combination of potatoes and vegetables floating in creamy sauce of tomatoes and yoghurt. It is a treat and can be served with either bread or rice. Spices like cayenne, cumin paste, ginger, chilli powder, ‘garam’ masala, tomato puree and coriander powder also go into it bringing the flavour. Of course salt is most essential for taste. Toasted cashew nuts augments the texture and flavour. The crispy veggie meatballs with soft interior or the ‘kofta’ made out of potatoes, veggies and spices are dropped into the spiced tomato gravy. ‘MalaiKofta’ will surely satisfy your soul and win your heart. Your metabolism rate is at the highest during your lunch-time. It is the time when you have already burned your calories since morning and getting ready for the other half of the day. Eating a hearty and fulfilling meal is a necessity. These were some quick and delicious dishes which are both healthy and indulgent. Opposing animal cruelty is easy but a complete transition to a vegan is very difficult where you have to replace mouth-watering recipes of meat you were earlier used to with vegetables. There is an array of snacks and dessert options for vegans too. Watch cooking shows and read and follow cooking books for vegans. This research will improve your knowledge and help you with many creative ideas for cooking. You can try out various new recipes of this infinite list of great food. It is time to change the grocery list, grab your apron and start cooking.